Can we see the biblical vision of shalom within early Quaker experience and understandings? Looking at the experience and understanding of early Friends, the feature that most closely reflects the biblical vision of Shalom is their understanding of gospel order. The term ‘gospel order’ is usually used to describe the distinctive corporate structures and discipline of the Quaker movement. However, these structures and practices are not in themselves gospel order. Rather, they are what enable Friends to live in gospel order (i.e. in obedience to God and in harmony with God’s order for creation). It is by coming into harmony with gospel order that we realise God’s shalom. Importantly, for early Friends this new order was to be realised here on earth. It was not merely the promise of a heaven in the afterlife. In this sense, ‘heaven’ may be understood as a state of harmony or communion with God, whereas hell is the condition of separation or alienation from God. Humanity’s first teacher was God in open conversation with men and women in paradise. However humans turned away from God and looked instead to their own power and wisdom. Metaphorically, humanity’s second teacher was the serpent who drew men and women into confusion and disobedience. This loss of unity with God threw the creation into disarray, bringing separation, disunity, disorder and disharmony. However, God’s creation is good. It is in a state of divine harmony. The apparent disorder is simply human inability to perceive and understand the greater order that God has given to creation. This is what makes fallen humanity a dysfunctional presence within creation. Humanity’s third and final teacher is the ‘gospel teacher’ Christ who has returned in spirit to lead men and women out of confusion and into obedience and order. Christ provides the way back to the state that Adam and Eve enjoyed before the Fall; enabling men and women to regain their God-like attributes. The spirit of Christ reveals sin, purges it away and leads humans to communion with God. The path from the Fall back to paradise is the way of the cross, understood as an inward crucifixion of the fleshly nature and the resurrection of the spiritual nature that was lost in the Fall. The reconciliation of the inner life leads to reconciliation in the outer life, bringing a new order and a new creation. Christ therefore offers a new living way to God. Now was I come up in the spirit, through the flaming sword, into the paradise of God. All things were new, and all the creation gave another smell unto me than before, beyond what words can utter. And the Lord showed me, that such as were faithful to him, in the power and light of Christ, should come up into that state in which Adam was before he fell; in which the admirable works of the creation, and the virtues of that may be known, through the openings of that divine word of wisdom and power by which they were made. Early Friends were thoroughly pessimistic about the human condition but extremely optimistic about the possibility of fundamental transformation through God’s power. They believed that God could take possession of the human senses. Hence they accepted that the realisation of this new order would not be possible by human effort alone; it required God’s power operating within a faithful and obedient people. The early Quaker experience of the active presence of Christ in the midst of his people demanded a system of church government that would give maximum attention to the discernment of Christ’s leadings within the group. So the distinctive Quaker meeting structures and practices were designed to provide a discipline by which Friends could maintain an openness to Christ’s direct leadership and teaching of his people. Adherence to the discipline brings the faith community increasingly into a state of harmony (with God, within ourselves, with each other) and God’s new order is revealed visibly in the social, political and economic life of a people gathered under the leadership of the spirit of Christ. God’s reign in the hearts of his people offers a collective experience of a joyful new order. Having tasted this new order, the community is called to share the good news of their experience with others around them. This is good news indeed! The restoration of communion with God experienced by early Friends represents in microcosm a restoration that is to be enacted throughout the whole of creation. If the inner-Eden can be restored in particular individuals and groups, then God’s peaceable realm can come to the whole of creation in the fullness of time. As each individual is brought into harmony with God’s order so the process moves progressively towards fulfilment. Early Friends believed that harmony with God would be restored to the whole of creation through what they called the Lamb’s War (a reference to the Book of Revelation). For early Friends the restoration of original wholeness was an important aspect of their experience of the coming of the kingdom of God. 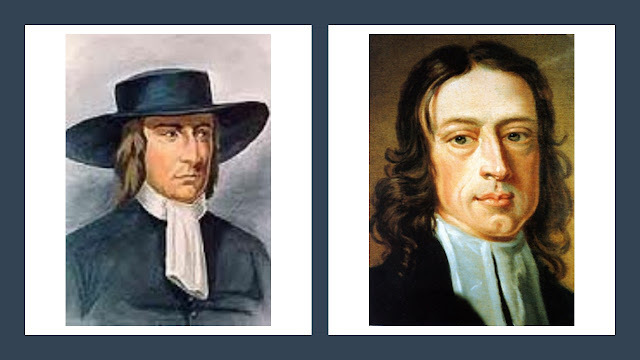 The development of Quaker principles (including the Peace Testimony) was based on an understanding of ‘Truth’ as the way God had ordered creation. Above and beyond the current state of violence, hatred and injustice lay a deeper reality of God’s peace, love and justice. It was this deeper reality that early Friends felt they were experiencing. Early Friends accepted the Sermon on the Mount in its entirety and regarded it as a vision of life under the conditions of gospel order. Violence, hatred and every kind of injustice were regarded as the symptoms of disorder which act as barriers to reconciliation between God and humanity. American Friend Wilmer Cooper has noted that the root of the word salvation in Latin is ‘salvus’ meaning health and wholeness. Salvation can therefore be seen as that state of gospel order that the Bible calls shalom. This is a collective vision for the whole of creation; it is not about the individual securing a personal pass to heaven. Benson, L. (1974) ‘The People of God and Gospel Order’ in Thomas C F (ed) ‘The Church in Quaker Thought and Practice (FWCC). Cronk, S. L. (1991) ‘Gospel Order: A Quaker Understanding of Faithful Church Community (Pendle Hill). Fox, G. (1952) ‘The Journal of George Fox’ (Cambridge University Press). Gwyn, D. (1986) ‘Apocalypse of the Word: The Life and Message of George Fox 1624-1691’ (Friends United Press). Wilson, L. L. (1996) ‘Essays on the Quaker Vision of Gospel Order’ (Quaker Press FGC). Alivia, thank you so much for sharing this. It is very powerful and I believe gives an accurate view of the central message of Friends from George Fox to the present. Or to be more precise, I believe it gives an accurate view of what Jesus was teaching. Dear Ralph Beebe, thank you for your comment. Much appreciated! Shalom, Stuart.